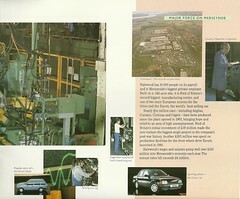 Posting several pages from a booklet promoting 75 years of Ford Motor Company in Britain, covering 1911 to 1986. I think they have done a nice job covering subjects in one page. The seven pages I chose are less than half the booklet, but cover the most history.